PBID Update: Executive Director Linda Melody of the Carmichael Chamber of Commerce gave an update on the status of the Property & Business Improvement District (PBID). — The 30-day appeal process has passed and PBID is working on by-laws as a 501c6 entity. Non-residential property owners are invited to consider joining the board. The first billings are going out with assessments due in April. PBID will cover one corridor from El Camino to Locust & Manzanita, and another along Fair Oaks Boulevard to just past California. — Scott Young of ATLAS said business owners will decide when and where to spend funds for enhanced security, beautification and possibly to provide homeless services. — Linda expressed hope of having a “navigator” designated to work with homeless people. County-wide Homeless Count: Scott reported that some HART members would participate on the evening of Jan. 25 in a HUD-directed count of Sacramento County’s homeless population, which is conducted nationally two years. Results are expected in late spring or early summer. County Supervisors’ Homeless Workshop: Scott said the Sacramento County Board of Supervisors would hold a joint hearing on homeless issues with the Sacramento City Council on Jan. 31 (details to be announced later). — He encouraged Carmichael HART people to attend. — Ken Bennett of Sacramento Self Help Housing (SSHH) said new Supervisor Sue Frost (District 4) has been active in Citrus Heights HART and their Winter Shelter program. 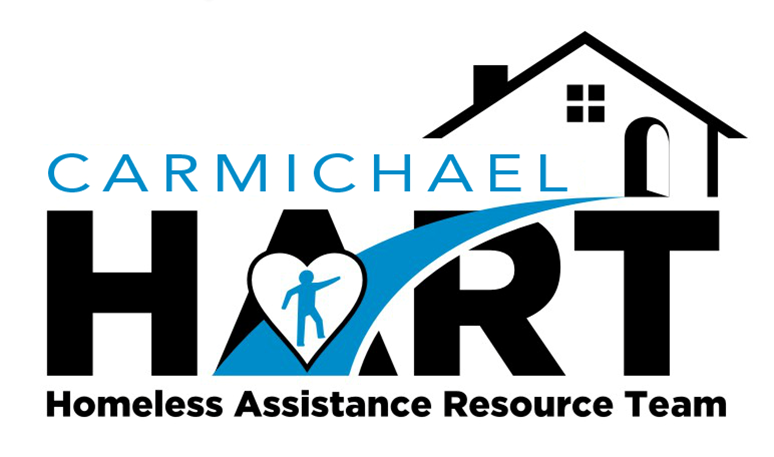 Citrus Heights HART Winter Shelter Update: Scott said the program was in its fourth week of a hoped-for seven-week run Dec. 26 through Feb. 11. — As many as 10 Carmichael HART participants had helped at Citrus Heights host churches, and 82 people attended an orientation at Christ Community Church, a host church for two weeks of Jan. 22 through Feb. 4. — Pastor Dave Brown said his Church on Cypress might take the seventh week if confirmed by the church’s leadership team. — Just under half of Citrus Heights shelters would be in Carmichael churches. — Ken said Citrus Heights HART was inspired by the enthusiasm of Carmichael volunteers. — CH shelter was serving an average of 17 people. 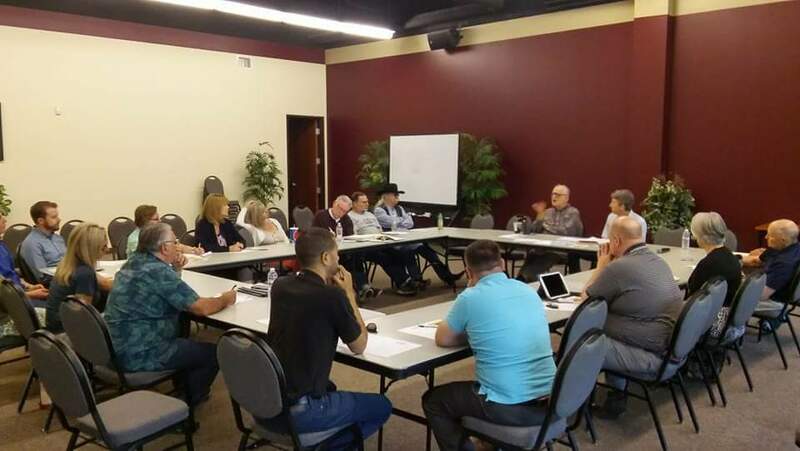 — Rancho Cordova was hosting up to 30 guests. Some had been turned away for lack of host church space. SSHH available to advise and connect guests with resources at all 3 HART Winter Sanctuaries. — Scott called attention to an article in the real estate section of the Jan. 14 issue of the Sacramento Bee. It quoted Linda Melody with a reference to Carmichael HART. — The Greater Sacramento Winter Sanctuary program, scheduled to run through March 31, was serving up to 100 guests per night. Carmichael Presbyterian Church is the intake site where Carmichael area guests are vetted. The church received 26 people on Jan 19 – requiring some to be turned away. Pastor Keith De Vries said his church is also hosting for two nights, Thursday and Friday of this week, and is expecting to serve over 100 guests. — Scott said 11 Carmichael churches had received cards about the sanctuary program for distribution to people on the street. “This is a big thing for Carmichael,” he said. — Keith mentioned a few glitches: people who duck the vetting process, leave vehicles in the church parking lot, don’t collect their property, or loiter on the church grounds. “It’s a learning time, trying to figure it out,” he said. Housing Counseling: Ken announced SSHH plans to offer housing counseling on Feb. 9 at Carmichael Presbyterian to inform Carmichael clients about services and advise them about how to connect with them. Medical services also are being considered. — His group also works on housing options for homeless people who receive Social Security disability. Others need mental health treatment, and often have unrealistic expectations. The YWCA downtown has $295-per-month rental units for women. — SSHH can work best with people who have active phone numbers. — Scott mentioned that there is still a need for volunteers to help intake staff between 3 p.m. and 4 p.m. at the Carmichael intake site (Carmichael Presbyterian). Committee Launch: Scott scheduled the last half-hour of the meeting for three committees that will address three homeless issues in detail: a Youth Initiative, Housing, and Community Advocacy. Committee participation was not required although interested parties were encouraged to join. — The youth initiative already attracted attention with six people initially signing up. — Scott said community advocacy is about “lobbying for Carmichael and homeless services, getting the word out. We want to make sure our needs as an unincorporated community are heard. For us to get some attention, we have to be active. He mentioned that Greg Alderman and Shaun Dillon (both absent tonight) had volunteered to be on the committee. — The housing venture entails finding permanent lodging through connections with landlords and other parties. SSHH will work with the committee. — Committees circulated sign-up sheets with Ken’s suggestions that they schedule times and places for meetings, eventually set goals, collect ideas, decide what’s feasible and bring back plans to the larger group. Veteran Stand-Downs: Scott said Carmichael HART eventually might want to sponsor a veteran stand-down, where vets typically are offered counseling, resource information, medical help and other services, and clothing at a designated host site for a day or more. He suggested it might be wise to work first with Citrus Heights HART, which has a well-developed program. — Ken said money and other donations weren’t a problem, although more veteran participation was needed in Citrus Heights last year. He said the VFW and other veteran groups had strongly supported last year’s stand-down at Holy Family Catholic Church. — Larry Niekamp of St. John the Evangelist said there’s a need for stand-downs in communities like Carmichael because the large event at the Mather complex is difficult for many veterans to reach. — Scott suggested that shelter intake workers at Carmichael Presbyterian church are already asking their guests if they’re veterans.